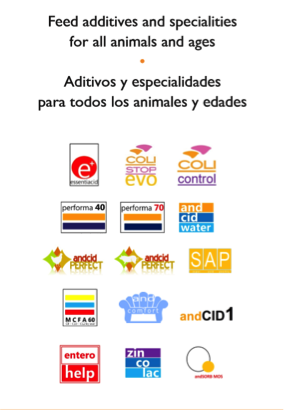 AND-NUTRITION was created in 2004 by Jesús Pérez Muñoz, MBA, Veterinary with experience in the field of animal nutrition, production and marketing. The first idea was to create a platform for Spanish companies to sell their nutritional products abroad. That was a good idea, but was complicated to do in the practice, so we changed the plan. Now we are a different company, focused in offering the best products to our customers. We supply the best quality products at the best price to distributors all over the World. We work in more than 35 countries. We grow more than 20% every year. The secret is simple: we have the best production facilities, the best service, the best distributors, we work harder, and we have a very small an inexpensive structure, so the big volume, together with small expenses make us VERY competitive and flexible.